Russell Sherman Hoxsie, 83, died peacefully Saturday, July 30, at Life Care Center in Wilbraham where he was residing. Born in Providence, R.I., on September 2, 1927, he was the son of Nelson C. and Effie (Machon) Hoxsie. Russell was a graduate of Wesleyan University in Middletown, Conn., where he received his BA in premed. He went on to receive his medical degree from Cornell University in NYC in 1952, and continued with his internship and residency at Providence Hospital and Boston Veteran Administration Hospital. Dr. Hoxsie served his country as a U.S. Army medic stationed in Albuquerque, N.M., from 1947 through 1948. After completing his MD and residency, he established a private family practice on Martha’s Vineyard in 1955. He began as the youngest of five doctors operating private practices from their homes and sharing privileges at the old “Cottage” Hospital in Oak Bluffs. His career spanned an era of great change on his beloved Martha’s Vineyard, including the construction and staffing of a modern hospital in 1970 and the establishment of a professional physicians’ group covering a broad range of specialties. In addition to his private practice, he served in the capacities of medical examiner, emergency room physician, chief of staff and served on the M.V. Hospital’s Board of Trustees. He routinely traveled to Boston area hospitals to make rounds on his Vineyard patients. He set up the first cardiac acute care unit on the Vineyard, and he was a pioneer in the diagnosis and treatment of Lyme disease. He was a tireless advocate for innovation and modernization of health delivery services for his community. Serving on the Tisbury School Committee for many years, he was directly involved in the building of the regional high school. A well-known and deeply respected physician on the Island, he retired in 1992. Following his retirement from practice, he became the medical director of M.V. Hospital’s Windemere long-term care facility from 1994 to 1997. In addition to writing. Russ enjoyed walking, gardening, beekeeping and was a voracious reader. In 2006, he received the Ruth J. Brogan Creative Living Achievement award. 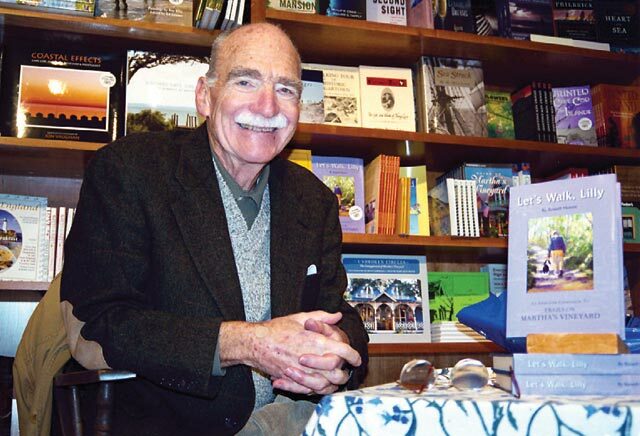 A longtime active member of the Grace Episcopal Church in Vineyard Haven, Russell enjoyed many years as a member of its choir. Always deeply attached to their vacation home in Menemsha, Russ and his wife, Mary Ann, fulfilled a long-time dream to live year-round in their house overlooking Menemsha Pond. They never tired of the brilliant sunsets, early dawns and the deer, hawks, egrets and herons of the marsh. He will be deeply missed by his wife of 62 years, Mary Ann (Hollister) Hoxsie, along with his children, Deborah Lomas and her husband, Duncan, of Wilbraham, Steven Hoxsie and his wife, Martha, of Scarborough, Maine, and Russell S. Hoxsie Jr. and Christopher Hoxsie, both of Martha’s Vineyard. He also leaves his six grandchildren, Conor and Corey Lomas of Wilbraham, Alex and Trevor Hoxsie of Scarborough, Hannah Perceval and her husband, Thomas, of South Portland, Maine, and Gabriella Hoxsie along with her mother, Pamela (Snow) Hoxsie, of Edgartown. Additionally, his sister, Joan Bell, and her husband, William, of Alexandria, N.H., and sister-in-law Sylvia Hoxsie of Kairo, N.Y., survive him. Besides his parents, a daughter, Pamela, and brother, Donald, preceded him in death. A memorial service will be held on Saturday, August 13, at 1 pm at Grace Episcopal Church in Vineyard Haven. At the family’s request donations may be made in his memory to the Martha’s Vineyard Hospital. For online guest book and more information please visit www.beersandstory.com.